I’d say it held up pretty darn well. The tape holding it onto the wall is a little dirty, but it is still hanging, still telling the time – at least when it isn’t in shadow. Not bad at all. 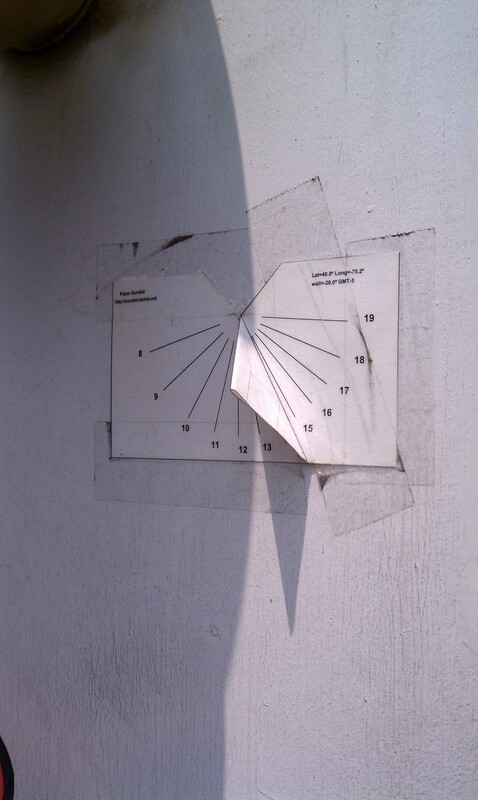 Get your own sundial here. The tank looks small, and in fact it is small. But that really isn’t an issue because the frogs (Dwarf African Aquatic Frogs) are not very territorial, in fact if you put them in a larger aquarium they would confine themselves to about the same amount of space as the Ecoquarium. But this kind of concern does bring up an issue that worries many: are animal kits cruel to animals? The short answer is no, the long answer is no, but only if you buy from reputable dealers and really the concern should not be so much for the animals as the animal’s environment. For example, we carry a popular animal known as Triops – Instant Animals or animals in an envelope. These are nifty critters that have been around for millions of years. Their eggs are very durable and able to survive for long periods of time. When they get wet they can hatch , live long enough to breed the next generation of Triop eggs, and die after about 90 days. These are animals that are able to survive in areas of drought, where periodic rains fill puddles and allow the eggs to hatch before the puddle dries up. Now the concern here is not so much with the Triops – their nervous system is very basic. The concern is with how the Triop eggs are harvested. 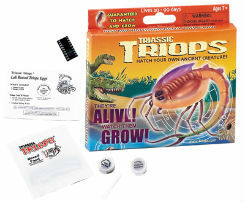 We get our kits from a company called ToyOps, which is one of the first to offer Triops. But not a month goes by without us getting some offer from a company in China, India or Africa that promises us Triop egg kits of one kind or another. These give us great pause. Why? Because ToyOps goes to great length to breed their Triops in the lab, while other companies have a tendency to send kids out into the countryside to dig up the eggs. This tends to cause damage to the area. A kid playing with a toy shovel in a pond is one thing, it is another for every square centimeter of that pond to be churned up in the search for ‘free-range’ Triop Eggs. Off-brands can have other issues as well. 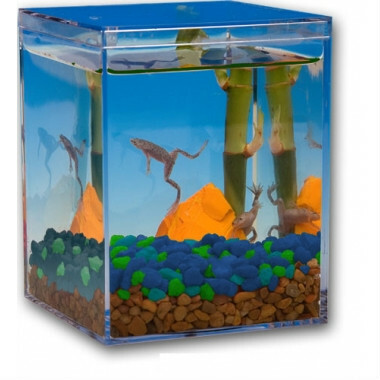 Several knock-off companies tried to imitate EcoQuariums, but their health systems were much poorer and their frogs had a much higher level of Salmonella (all frogs have some) causing more than a few illness in people’s homes. Some folks complain that perhaps no animals should be used in kits. We disagree as the educational value of children observing real live insects, Triops, butterflies, fish, frogs, etc far outweigh some discomfort they might experience in transportation. 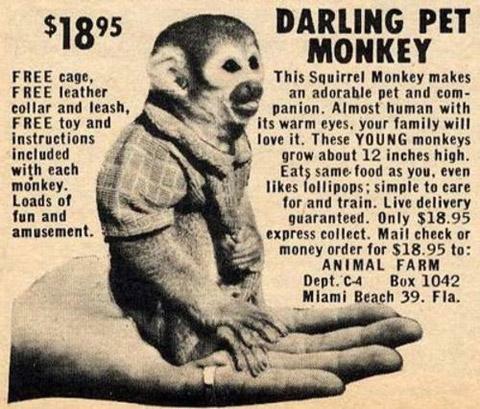 As long as you are dealing with a company that has respect for the animal it is selling you can be assured of the best education-to-concern ratio. This is not the category to try a bargain brand. Fascinations – Yes to their Ant Displays, inconsistent with other insect kits. This list is by no means complete. Its just the ones we have had experience with. It does not include any companies that make insect displays, animal skeletons or non-living animals. Build a Solar Powered Rainbow Maker! We’ve carried the Solar Powered Rainbow Maker pretty much since we opened. Its an excellent gift, and great for anyone who just wants some color in their room. The solar panel powers the motor that spins a crystal – causing rainbows to be made all throughout the room. The overall look-and-feel is very different since this is a different company and they have copyright concerns. But if anything they have improved on the original design: The system is held on by two suction cups, and there are three crystals that are spun by the solar cell, not just one! The kit can be assembled by children ages 6+, and being solar powered it requires no batteries! The kit is just $19.99, which is almost $8 less than the assembled model. We’ve got a new nifty Solar Powered Toy in stock, its the Solar Powered Butterfly! This is a butterfly that flaps its wings in sunlight. You put it together and color the wings as you like, then place it in a sunny window as shown. The solar panel then powers the wings to flap! Solar panel, motor, clamps, wings, and suction cups are all included, as well as paint to color up the wings. 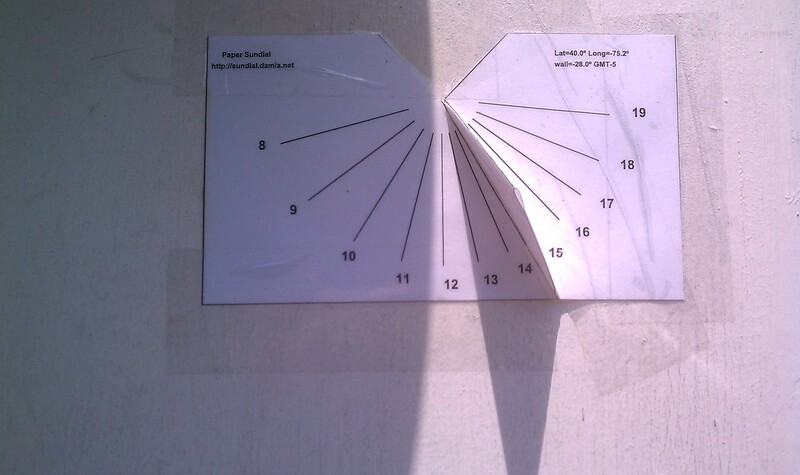 You can follow the pattern on the box or do it your own way! Full color instructions are included! This is a great project that teaches kids some basic circuitry, solar power, as well as letting them show their artistic side! For ages 8+. Mission Small Business is a program sponsored by Chase and LivingSocial to help small businesses across the US by awarding up to 12 individual $250,000 Grants. Spectrum Scientifics is applying for one of these grants and we need you to help us out! How can you help? We need 250 votes to move on to the next stage. You help by going to www.missionsmallbusiness.com and registering. You can register using your Facebook account if you prefer. Then simply search for ‘Spectrum Scientifics’ and vote for us! If we get 250 votes we’re on our way to the next step, which involves a panel of experts who will decide who gets the grants! New, Affordable Organic Chemistry Labware Sets. Organic Chemistry lab sets have been around for a while. They are excellent sets for making limited quantities of various organic compounds. Sets like our Macroscale Glass Chemistry Set are excellent for classroom and basic production. But these aren’t cheap. Although these sets are a bargain compared to some of the big labware producer’s sets, they are still a bit high for many folks trying to get equipment for the classroom. Now a couple of sets are available that are much more affordable, the 9 piece Organic Chemistry Set and the Deluxe 16 piece Organic Chemistry Set, both from our regular glassware supplier United. These kits, along with some basic lab equipment like stands and burners will allow students and experimenters to make small quantities of compounds. The essentials are covered with the 9 piece kit being suitable for preparations of up to 30g and the deluxe being suitable for preparations of up to 150g. Both kits come in a sturdy, form-fitting case. It was a fairly slow rainy day here at the store. So its time to take one of our Giant Rainbow Spring (think of a huge plastic slinky) and put it on our curved staircase. It did pretty well considering that the stair is curved and the treads tend to shrink as it gets closer to the inside of the staircase. Failure only came on the last stair. Only took 3 takes as well.